This volume from the Collected Works of C.G. Jung has become known as perhaps the best introduction to Jung's work. In these famous essays he presented the essential core of his system. This is the first paperback publication of this key work in its revised and augmented second edition. 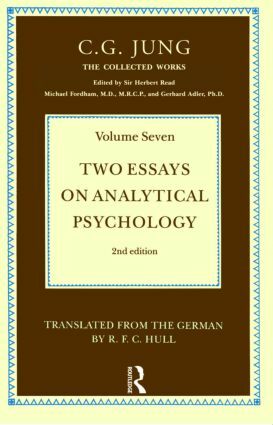 The earliest versions of the essays are included in an Appendices, containing as they do the first tentative formulations of Jung's concept of archetypes and the collective unconscious, as well as his germinating theory of types. Section One: On the Psychology of the Unconscious. Psychoanalysis. The Eros Theory. The Other Point of View: The Will to Power. The Problem of the Attitude-Type. The Personal and the Collective (or Transpersonal) Unconscious. The Synthetic or Constructive Method. The Archetypes of the Collective Unconscious. General Remarks on the Therapeutic Approach. Conclusion. Section Two: The Relations Between the Ego and the Unconscious. Part One: The Effects of the Unconscious Upon the Conscious. The Personal and the Collective Unconscious. Phenomena Resulting from the Assimilation of the Unconscious. The Personal as a Segment of the Collective Psyche. Negative Attempts to Free the Individuality from the Collective Psyche. Part Two: Individuation. The Function of the Unconscious. Anima and Animus. The Technique of Differentiation between the Ego and the Figures of the Unconscious. The Mana-Personality. Appendices. New Paths in Psychology. The Structure of the Unconscious.